MAADI (Mobile application development India) has reevaluated the artificial dating experience by rebuilding Tinder, Swoon and Gridr alike applications. With our specialization in mobile technology and the game changing point of view, we are inclined to overhaul the complete dating outline with our Tinder, Swoon and Grindr Clone. Here, we can get you with best identical apps like Tinder with some extra features that are fit for marketing and promotion helping you to get better ROI (Return of Investment). It is indeed great to come across with, right? What is the time span to required to build Tinder clone? 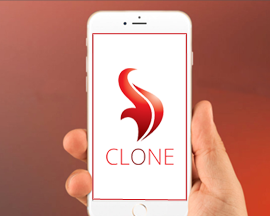 Depending on your specifications and requirements, the clone app is being developed. Roughly, our developers enumerate a time span of about 10-12 weeks. What can be the specifications required for identical app of WhatsApp? Anyone who wants to re-create the whatsapp, the major specification of any app must be communication that is meaningful and pleasant. This should be the major objective of any application that you need to build similar to WhatsApp. We provide explicit rebuilding of the application with a business model that is based on the in-app purchases to build ROI for the application. We do not provide any advertisements that hinder your app viewing and usage. Will your developers be able to develop Tinder, Swoon and Grindr like application for Native IOS? As my maximum budget is US $ 2000.00. We hate fake promises and believe what we say that if anyone make a deal to build this application in this budget, then the product would not be commendable and cannot be placed best among the app stores. We never compromise with our work at any cost. Creating an app just for the sake of development is at its place and to make it successful and make it friendly among the app stores is another. It is up to you on which means we deal this app. What would be timeline and budget for this app? Generally to interpret the timeline and budget for any application, it needs a brief analysis, scoping and documentation. Whilst you specified your requirements for similar app for Tinder, but still remains the key features that separates an application from the other. Accordingly, we develop the app and after the discussion, we will be able to define the timeline and cost for the application. You just sit back and relax, for any budget constraints, we are glad to have foremost MVP in the market without justifying the work quality. What are the means to earn money? What technology/server is used to develop the dating app? Subscribed functionalities like buy subscription chat, specific amount for video call, the amount used to remove ads and many more. No of ways to use In App purchase to make money. What platform should I prefer to develop clone app? If you choose iPhone for Native, doesn't work on Android device as the code vital is different completely. You need to budget twice. Cross platform reuses code for both platfoms. Though there may be issues with the performance of cross platform applications. Honestly, our developers readily work on any of these and on cross platform using PhoneGap as well as on Native iOS and Android. Until and unless it is not required, we do not recommend clients to for cross platform for further projects. We prefer to develop in native platform as it assures the highest UI / UX experience. We do not recommend cross platform, when development of serious application is to be developed. If you are looking for fun and small app, we are here to solve your problem. A native mobile application gives best experience - rapidly, can give you best ingress to the device, making the great for any high performance apps or games. And we prefer native application platform and recommend you for the same. What if I want any random pictures rapidly without any delay? We are here as a trusted partsner to solve all your issues perfectly. The appearance of random pictures depends upon the dimensions of the image uploaded and the server used. We offer the best answers for all your queries making your system equally with "Tinder" and "Hot or Not". How to restrict users from specific region and ingress users from nearby location? It's simple, just tie down the location of the user with GPS Geo Fencing feature. We use Google Maps API & it comes with mobile based app tracking mechanism and the location is matched with GPS tracking. Just tie down the location of the user with GPS Geo Fencing feature. You can find relevant matches based on your search location criteria and find alike profiles you need.